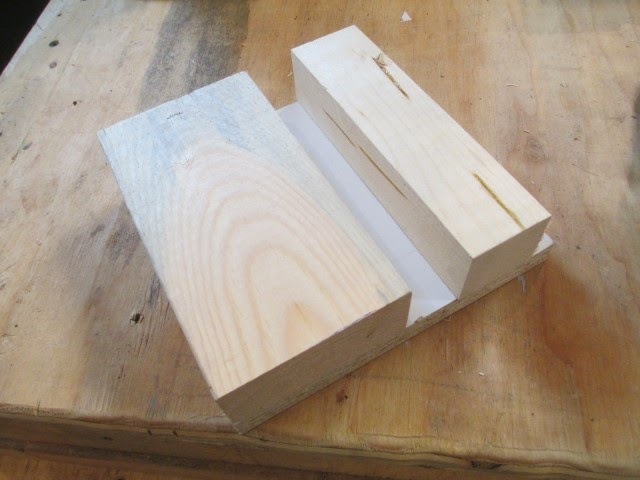 Here is how to make a block #3. 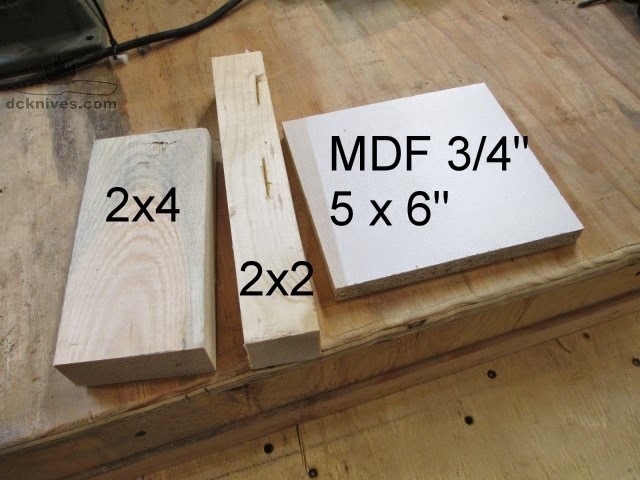 Here you see a 5x6" base with a 2x4 and a 2x2. 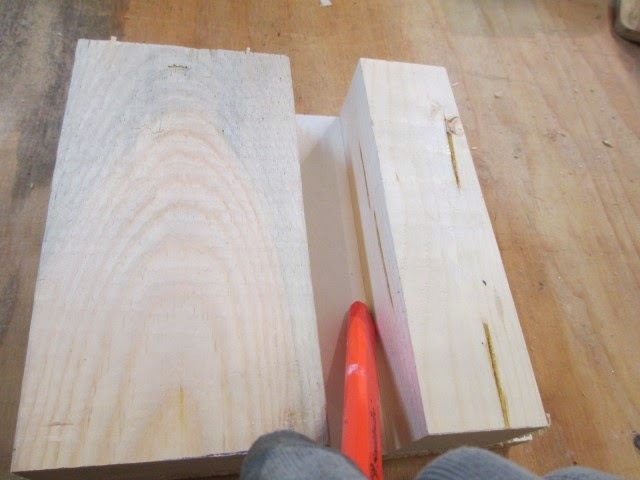 Cut the 2x4 and 2x2 to the short dimension of your base. In my example I cut them to 5 inches. 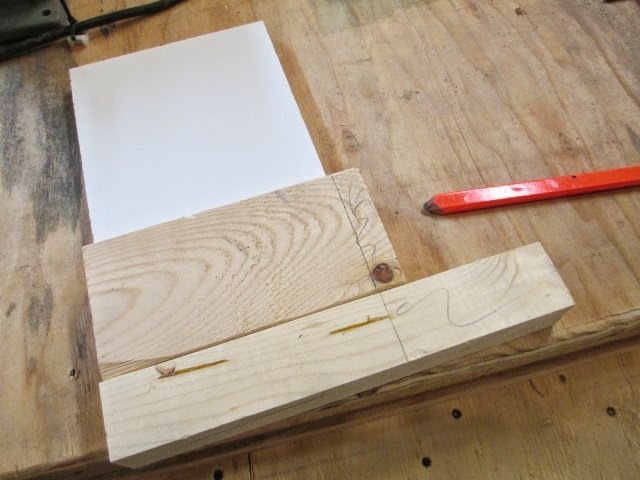 Press the 2x4 into the corner of the base and mark a line. 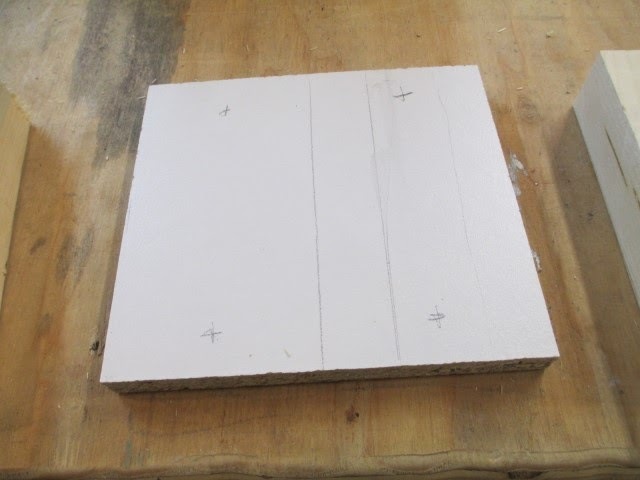 Measure 1-1/2" (38mm) and scribe a line for the 2x2 block. This is the layout. Proof this before attaching. 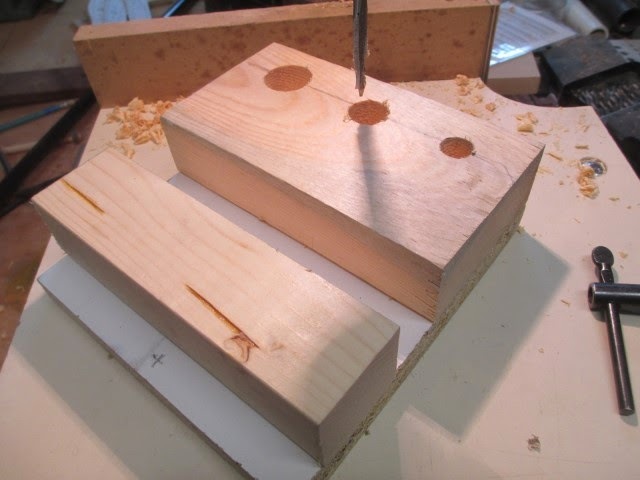 On the base, mark some holes for screwing the blocks. 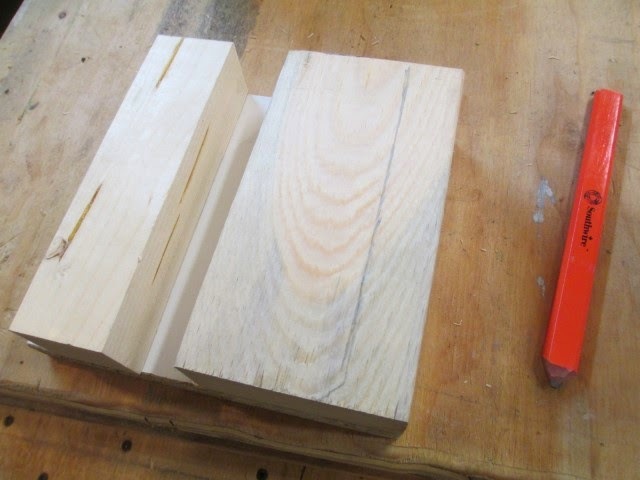 I chose 3/4" from each end, on centre. Drill the holes to 3/16". 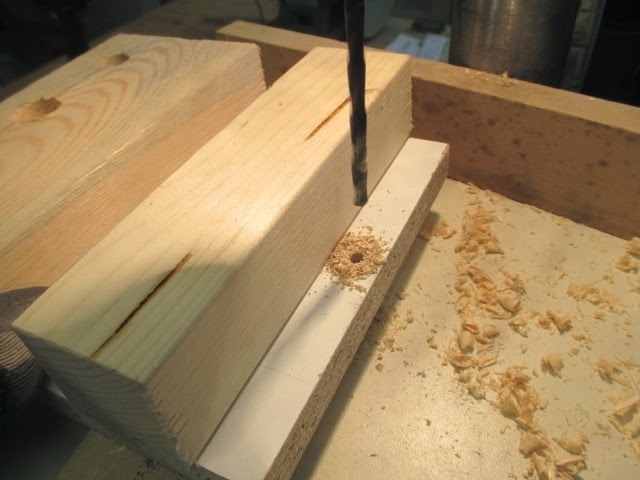 Align the blocks and screw them to the base from underneath. This is the essential block. 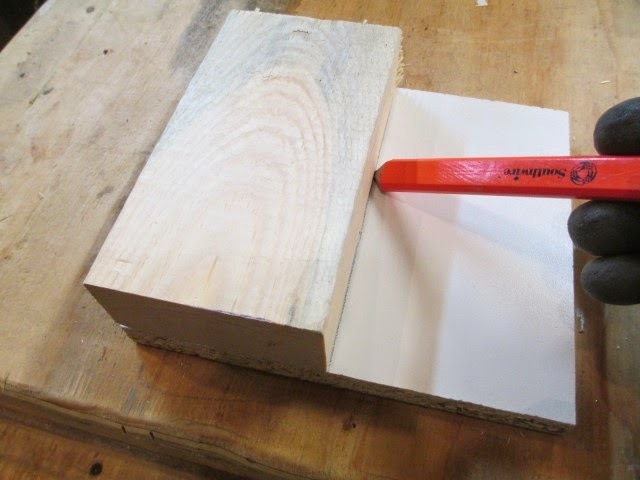 Make a mark on the 2x4, 1" from the edge as shown. 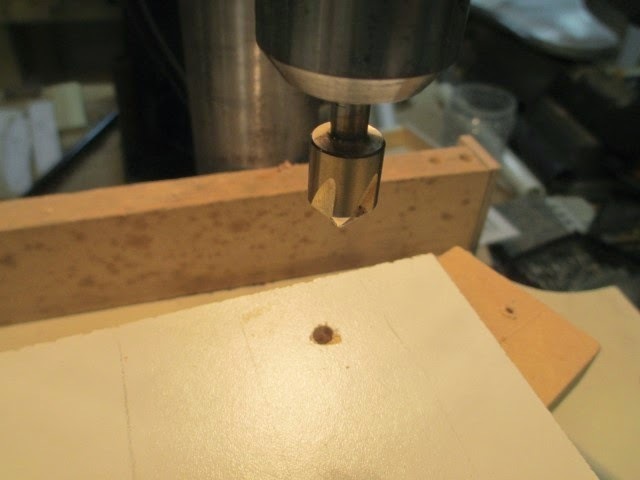 Drill a 1" hole. 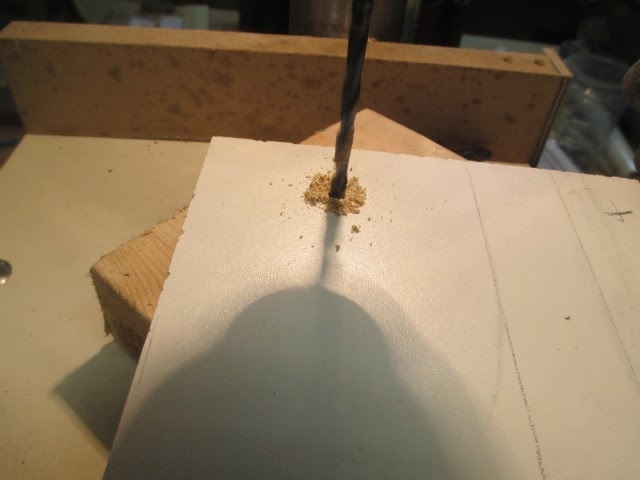 I used a spade bit. 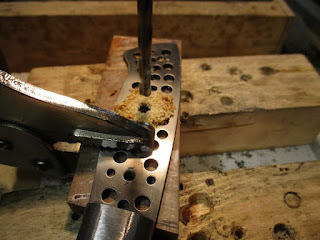 Make a 3/4" and 1/2" hole along the line with the spade bit. 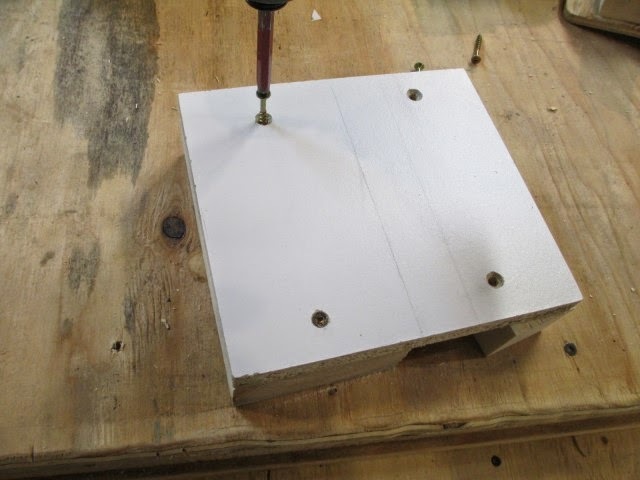 Drill a 3/16" hole for hanging the block. Sand to a happy ending. Update October 2016: Examples of use. 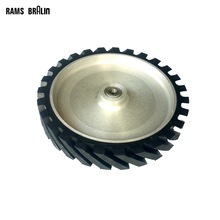 Tons of great info on here. 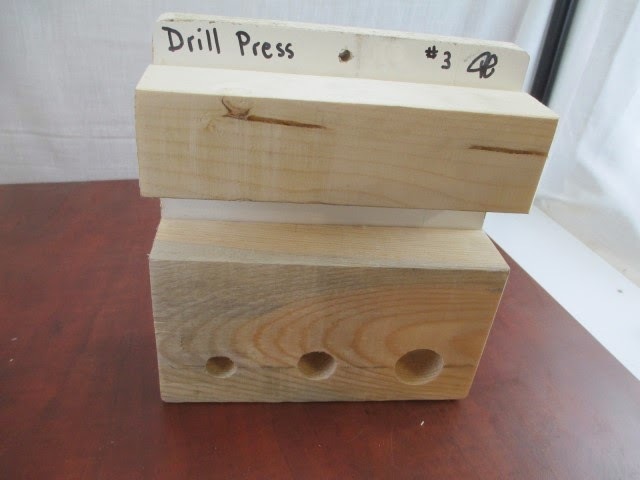 What exactly do you use the drill press block for? 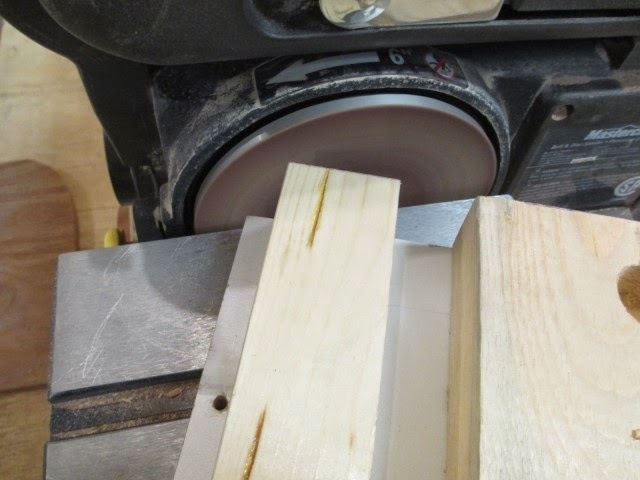 I use for all kinds of things on the drill press table. Let's say you have a leather sheath and you need to drill some small holes for stitching but the belt strap prevents the sheath from sitting flat (90° to the drill bit). Simply set the belt strap into the channel and it rests flat. 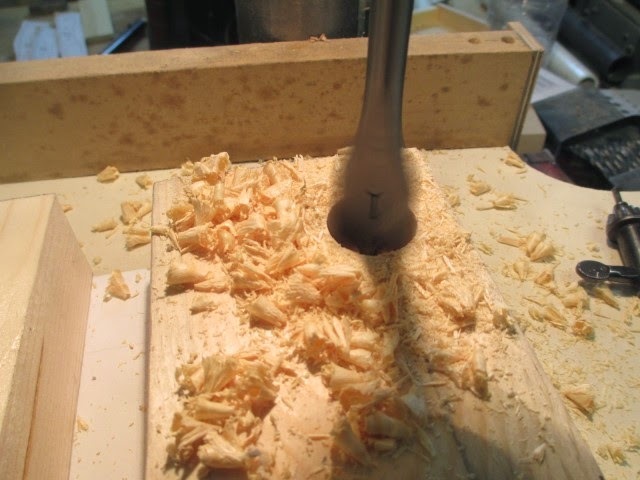 Also for drilling holes in scale where you need to keep the scale clamped to the tang. 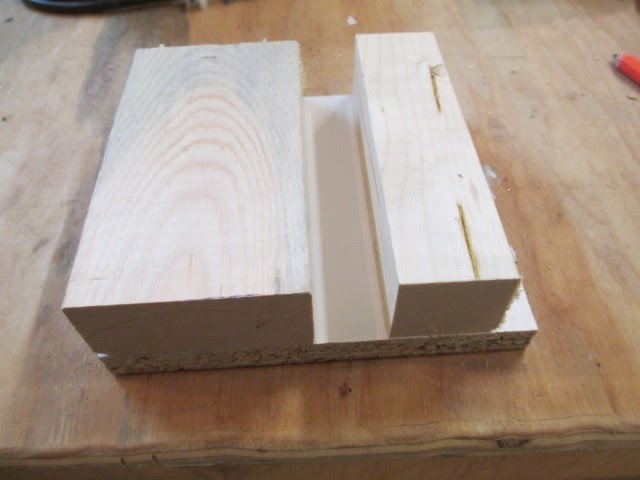 The clamp will fit in the channel and everything stays square. I'll post a photo or two. OK, I can see how that would be handy. Thanks for the explanation. I'll build one, maybe even soon!